Frankford Public School, nestled in the community of Frankford (Quinte West), 10 km north of Trenton and along the Trent River, serves 306 students from Junior Kindergarten to Grade 8. 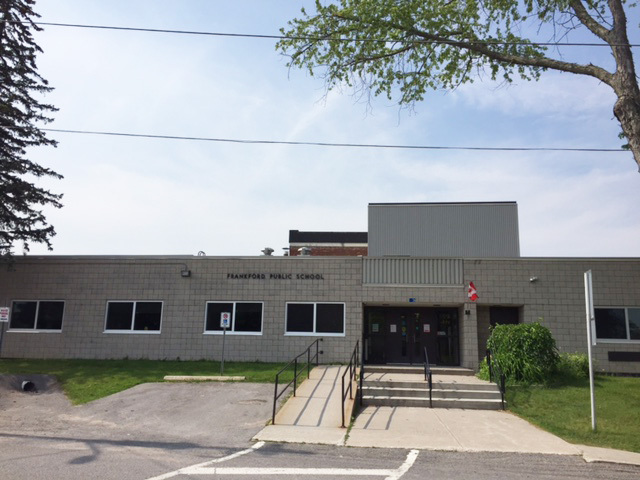 Frankford Public School is a multiple-storey wheelchair accessible building with a full-size gym, a multi-purpose room, a computer lab, a well-stocked library, and a large playground. Frankford PS is a Healthy Active School Community. Strong involvement from parents and the community support the school’s commitment to the development of the whole child. Frankford P.S. students proceed to Bayside Secondary School for Grades 9 to 12.